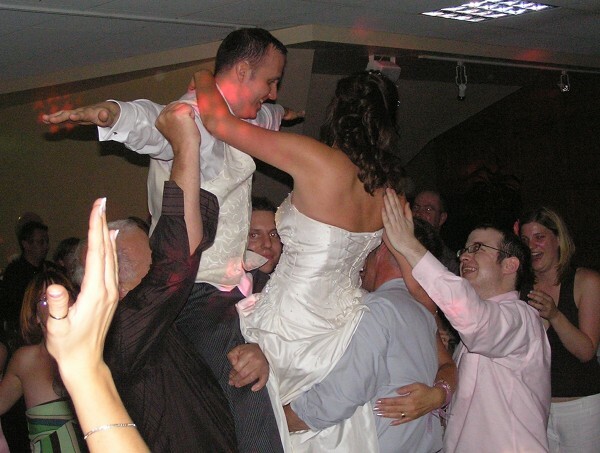 "A party solution for every occasion"
Extra care and attention is taken to ensure everything goes to plan from the time you book until after the last song is played on the night. 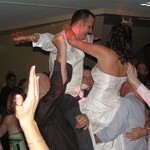 Must have for weddings - Video Disco ! 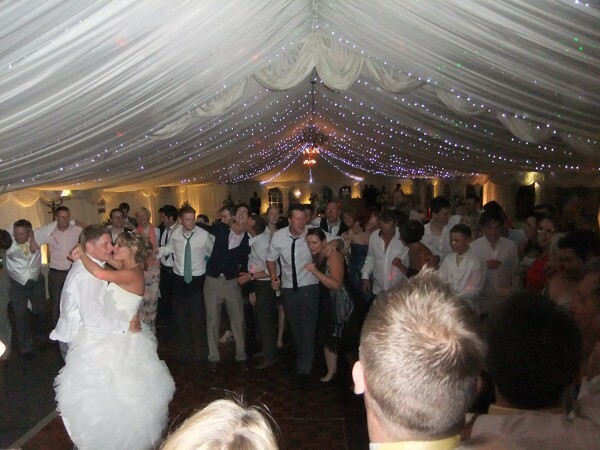 The premium disco is designed especially for weddings. This includes the brand new video disco which will bring the WOW factor to your special day. This unique service will be perfect for your wedding as not only the music videos can be shown alongside the audio but why not have your photos shown as well. This is great for the evening guests who haven't been there during the day. A selection of family and friends photos is also good where everyone can reminisce over some great memories. 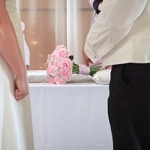 Planning a wedding abroad ? If you are planning a wedding abroad, give your friends and family a chance to celebrate with you and organise a party for your return. Take advantage of the brand new video disco to show your wedding photos for everyone who didn't get the chance to be there with you. A request service is always available to you leading up to the big day where you get to pick the songs you would like played. 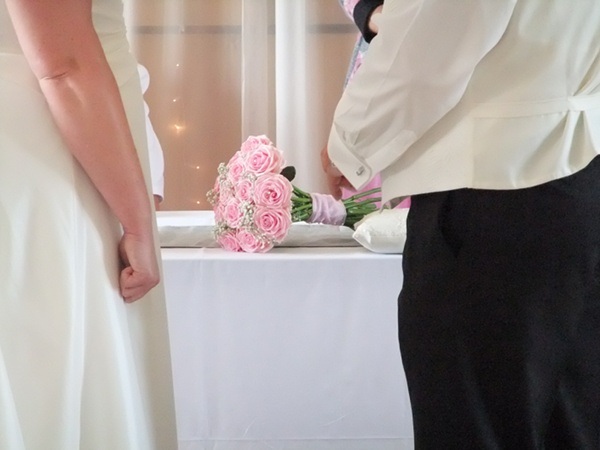 Many couples provide a list of tracks in advance of the reception to ensure they hear their favourites. These will be played at an appropriate time in the evening and mixed with some tracks that are guaranteed to go down well in order to make the night a success. Requests from your guests are always welcome on the night. Alternatively, you can leave it all to Rob where any party will seem effortless. Background music during the wedding breakfast is very popular for creating the right atmosphere and smoothing the transition to the evening reception. Rob can be booked for a few extra hours to provide subtle background music at your request. If you prefer, only a discreet sound system will be set up during the wedding breakfast which may help with venue appearance for your photos. Another benefit of this service is that a roaming microphone can be available for the speeches and any other announcements. It is a great shame to see that so much time and effort goes in to planning a great speech only to not be heard clearly. You put a lot of time and effort deciding on the perfect elements of your wedding, dress, venue, catering, and all the details. So why not book some great entertainment for the evening to complete your wedding day and make it memorable for you and your guests. Remember, it is your special day so let's celebrate your marriage in style. Let's finish off a fantastic day with a fantastic party and all your guests will be leaving thinking what a great time they have had and will be talking about your wedding for years to come !! Here is a small selection of wedding venues visited in no particular order. Many more, just too many to list. 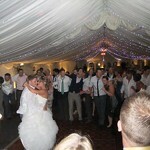 Bright lights Disco is very mobile and can be set up at any venue. Please make contact to discuss your wedding plans.